If becoming self employed is the new 9-5, how do we emotionally cope with the toil of this chosen path? According to a 2014 survey by Harris Poll and CreativeLive (read full report here) 67% of employed millennials (18-34) want to leave traditional employment and become self-employed. Being your own boss sounds like a dream, but for some people, it can also become really challenging. There’s that horrible anxiety provoking uncertainty about when you’re going to get paid next. Then there’s the stress of managing every element of the business, from the marketing to the finances. This can all leave you feeling burnout. Self employed related stress and anxiety can become so bad that it means you want to run away from the business, and this can get acted out in presenteeism (being there, but getting nothing done), procrastination and/or keeping unsustainable and manic hours. So if you’re doing this, it will be productive in the long run to take some time out of your business and look at what’s going on beneath this behaviour. Do you trust yourself to run the business? Are you equally concerned by the idea of success? Do you worry that it’s all going to come crashing down? Are you convinced your success isn’t real? Your relationship to your business tells us a lot about you, and what your fears are. So for us millennials who want to be self employed, and stay sane, how do we do it? (Warning: this list is only helpful it you make a commitment to put these strategies/new belief systems into action). 1) Reason with yourself regularly. Employment also has its risks and uncertainties. The reality is you could get made redundant, or sacked at any moment. It may be less likely, but it is possible. There is no such thing as a certainty in life, and being in self employment and staying sane means surrendering to this reality again and again. You will not get certainty from your business because it obeys the rule of the universe: the rule of chaos. It will (hopefully) become more stable over time, but life is still uncertain. The only way to make peace with self employment is to come to some kind of acceptance with this uncertainty. Yes, I know, you’ve heard it before. But really, do self care. It is more sustainable to work and give yourself breaks (meditation, running, & playing breaks) than to run yourself into ground and as a result off work for a few days. Self care also involves investing in other areas of life, such as your relationships. If other areas of your life are rich and fulfilling then there will be less pressure for your business to be everything to you, which will enable you to step back and not get so caught up in the emotional dramas of its inevitable (and yes, they’re inevitable) ups and downs. 3) Wherever possible delegate/ hire help. Sometimes we need to take a practical solution to our anxiety and stress, and these feelings sometimes show up as a warning sign that we can’t do everything anymore. Share your experience of self employment, or ask any questions in the comments section. 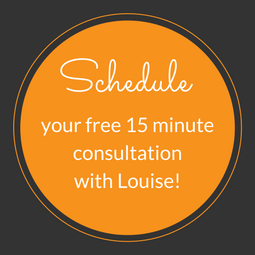 Hi Louise, I think community is really important for the self employed as work is a way of satisfying some of our social needs. Community is also a way to check out your own work norms with others and get different points of view. I find peer support via Skype and FaceTime important as I live in a rural area where getting together with flesh and blood colleagues isn’t so easy. I do have local work networks that I belong to, but they tend to meet when I’m working during weekday evenings. And very important to have a cat 😉 . I find the isolation difficult, working at home on the computer. I’ve discovered I’m really useless in the afternoon so do practical activities then. Unfortunately I have another surge of energy for work during early evening family time! Obviously tuned in to my circadian rhythms. Thanks for commenting! Yes, I find I miss a team to bounce ideas off. I think this is a really common concern for the self employed. I also think that keeping a schedule is key, one that includes a proper hour long lunch break. I’ve been guilty of working until my stomach has been growling for too long. Next Next post: How to Cope with Overwhelming Feelings at Work.